Those who have already had at least one Grand Prix under their belt only need two and a half hours of training. A “memory booster”. Once retained, the marshals have the opportunity to have a long career as volunteers within the ACM. The age limit is set to 50 years old, and executives can be up to 55. But the trend is quick turnover; something Michel Bernard regrets. “It’s the trend at this time. We would like more loyalty.” For that, nothing better than good working conditions and a pleasant atmosphere. And the Fontvieille area, used for ten years, is the ideal place to combine work and relaxation. At the workshops or during lunch breaks the trainees meet, joke, train and help each other. An almost exclusively masculine Universe. But not entirely… “Out of about sixty new candidates, four are women. There is no discrimination.” This has not always been the case, as the ACM is preparing to organize its 75th edition of the Grand Prix. Women are admitted only “for seven or eight years. We judge their abilities and skills. For example, they occupy the posts of ‘flags security officer’ or radio.” There will certainly not be parity in the ranks of the Espace Léo-Ferré, next 25 April, for the next and final big meeting of the commissioners. But the passion for motorsports certainly reaches more men. The theoretical side is essential for learning the drastic safety rules imposed by the FIA. But it is during practice that excellence is forged. Repeat. Over and over. Until the procedures become second nature. Procedures that save lives. 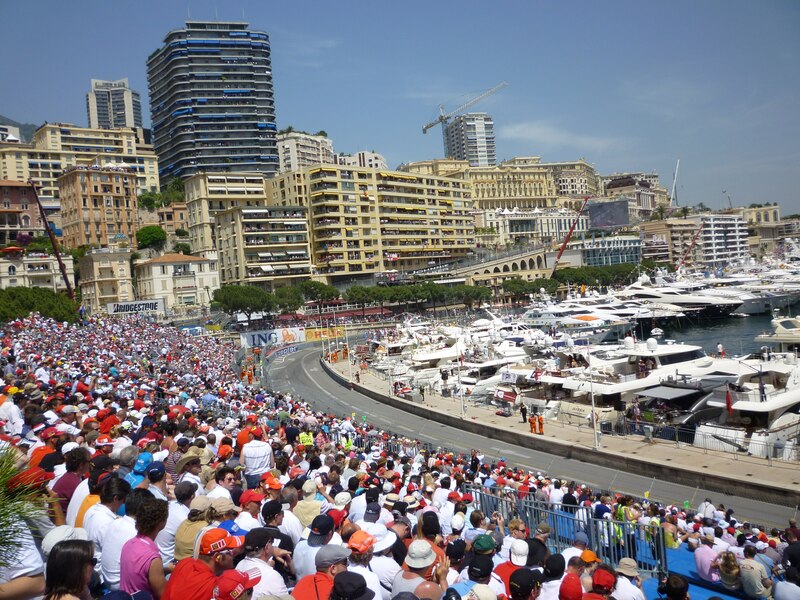 Because on the asphalt of the Principality, the battles on the track often generate spectacular exits. And the guardian angels of the track must be ready. First exercise under the Fontvieille marquee: driver extraction, while still conscious. Nothing is decided without the approval of the race director, who is the watchful eye of the circuit. Once the helmet and the steering wheel are removed, all the difficulty lies in the maneuver. 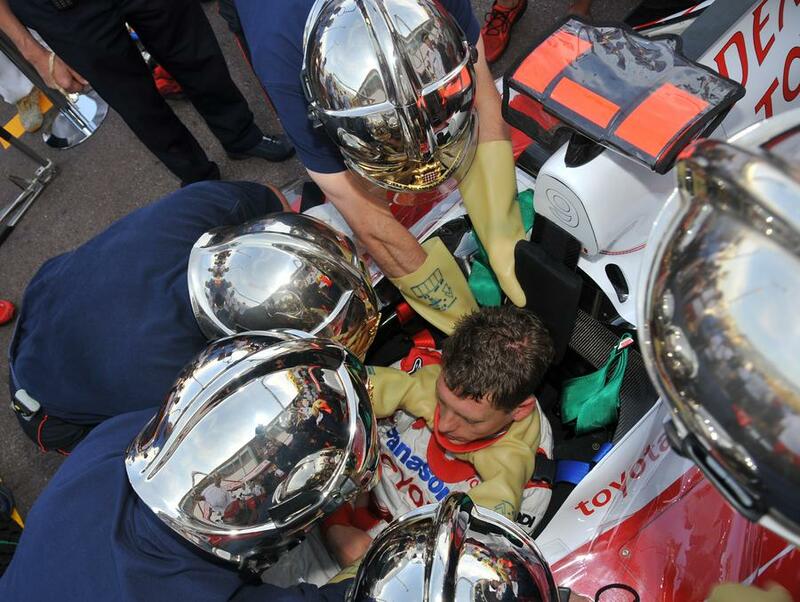 “It is necessary to maintain the head-neck-torso axis to avoid twisting the spine and exacerbating the injury,” explains Colonel Tony Varo, head of the fire-fighters of Monaco. “At the moment when we intervene, we do not know the gravity. With a false maneuver, the injured can be made quadriplegic.” For this perilous intervention, firefighters are the only warriors. Another danger, which has become less common in recent years, is the combusting of Formula 1 vehicles. An aluminum car caught fire near the “great blues”. Several hundred degrees Celsius. Under the watchful eye of Stéphane, a firefighter trainer, the commissioners jumped the safety rail. Douse the vehicle with a fire extinguisher. Plume of smoke, nothing more to see. “There you go in a pack.” said the trainer. “There was no organization. You should never go alone. But never altogether. Some can gather a reserve fire extinguisher while others put out the fire. Do not forget to keep an eye on the circuit and leave nothing on the track.” Next time will be better. At the Automobile Club of Monaco, Jean-Michel Matas is part of the furniture. “A dinosaur,” he laughs. In 1975, he became a marshal at 25 before climbing the ranks, little by little, under the era of President Boéri. Two years ago, the 69-year-old from Menton took over the responsibility of the commissioners. Who better to interview? During this course, you prepare them for the worst scenarios? We show them everything that can happen. We have a circuit in town, with everything represented. They are warned. They are shown images, for example, they are told not to travel over the rail, it is a reflex that must be formed. Never turn your back on cars, too. Safety is the key word. On the circuit in Monaco, anything can happen. Can the Commissioners sometimes leave it to instinct? Yes, but they are still under the authority of a head of post. So no initiative is made without its endorsement. They are told: ‘If the chief does not tell you to go on the track, do not go, even if someone has fallen in front of you.’ There is a hierarchy and an intervention process that must be respected. They cannot veer from it, the rule is very strict. It is for their safety, that of the drivers and that of the spectators. An intervention that was particularly memorable? Ah, there were so many! The big crashes at Sainte-Dévote, I imagine. At the time, the cars caught fire, it was the most spectacular. The fire tanks were not passive, the power supplies and the materials were not the same as today. Fortunately, there has not been much fire for twenty years. We are now solidly equipped. We have made great strides in the field of fire safety with the fire brigade of Monaco, with whom we work in perfect collaboration. The qualities to be recruited as Commissioner? One must be willing, have a sense of responsibility, and know how to obey. We must respect authority. It’s not the army, but it’s a little bit like it (laughs). It is also the image of the ACM and the Principality that we defend. Which can be a gamble. We have no right to make the slightest mistake, our behavior must be blameless.